Construction is coming right along. 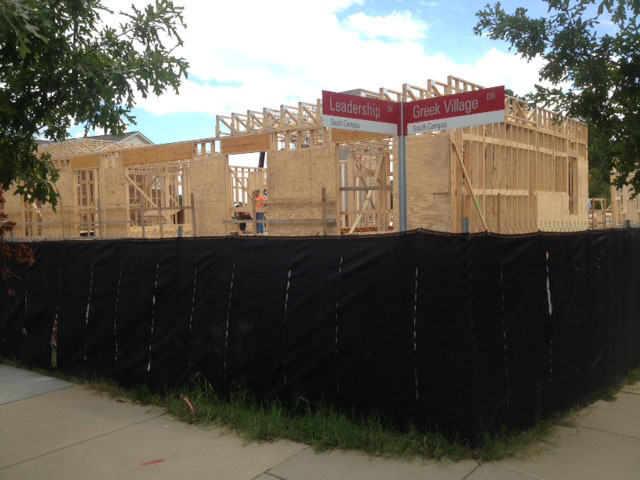 Make sure to check out the Construction Cameras to see our home coming together LIVE! Recruitment is just starting and I know the new DG house will be the talk of the town! 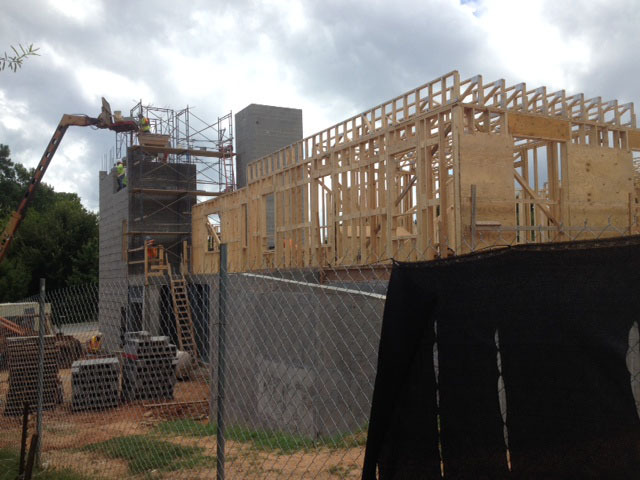 In this photo, you can get a peek at the front door taking shape! This view is from the front left of the house with the construction crew working on the stairwell at the rear of the house. The elevator shaft is to the right of the stairwell. 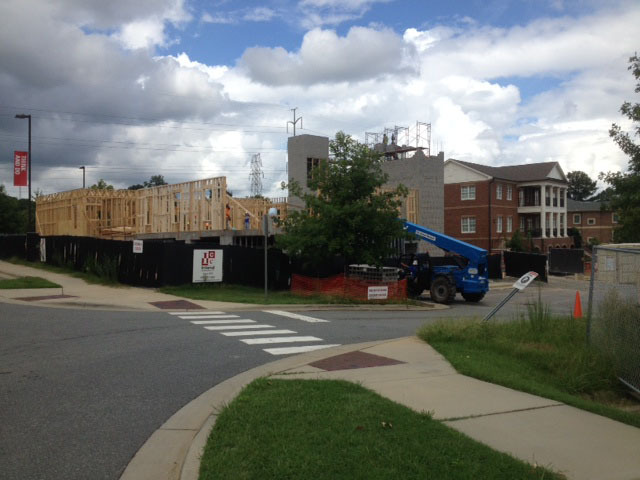 Finally, this is from the entrance to the parking lot, we can see the side and rear, the elevator shaft, the stairwell in progress, and the rear of the Kappa Delta house. The crane truck lifts lumber to the crew. So exciting to imagine that this time next year, recruitment will be taking place INSIDE our new house! Go DG!